The file named EventLogMessage.dll is developed by Solid Documents LLC. The program is digitally verified and signed by Nitro PDF Software. The DLL file is essential for the Solid Framework program to run properly. It is considered to be safe to work with and has its digital signature authority supplied by The USERTrust Network. The threat level is 1. EventLogMessage.dll is located in C:\Program Files\nitro pdf\professional\eventlogmessage.dll. The total size of the file is 6.8 kilobytes. The latest version of the file available is 5.1.155.0. The non-system process is not mandatory for Windows operating system. Disabling or uninstalling it will not affect overall performance. How to check if your computer is infected with EventLogMessage.dll malware? How to remove EventLogMessage.dll malware from system using Comodo Cleaning Essentials? 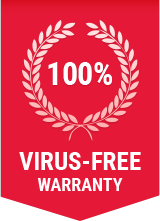 You can either choose to remove EventLogMessage.dll and other malwares using Comodo Antivirus, or Comodo Cleaning Essentials (CCE) – both of which are absolutely free to download! CCE is a set of computer security tools designed to help you identify and remove malwares and unsafe processes from an infected computer.